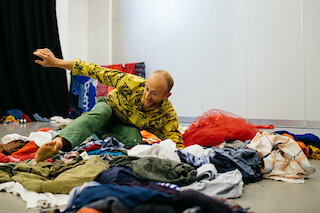 Getting Dressed delves into the movement and humour of clothes; how you put them on, take them off, share them and express yourself, your identity and your gender…. And, get stuck in them. 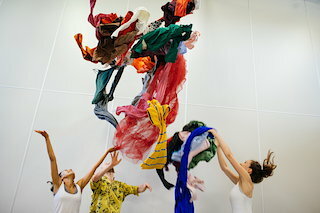 A highly visual, dance performance exploring textiles and clothing – making the ordinary feel extraordinary. 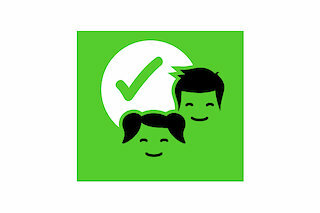 Made for 4 – 7 year olds Getting Dressed encourages young children to experiment with what they like to wear. The presentation is followed by a discussion of the work and its future ambitions. Rosie Heafford will be part of the panel at the British Focus Forum at 15:30.
internationale tanzmesse nrw extends its thanks to the Kunstund Kulturstiftung of Stadtsparkasse Düsseldorf for supporting the programme for and with young audiences.